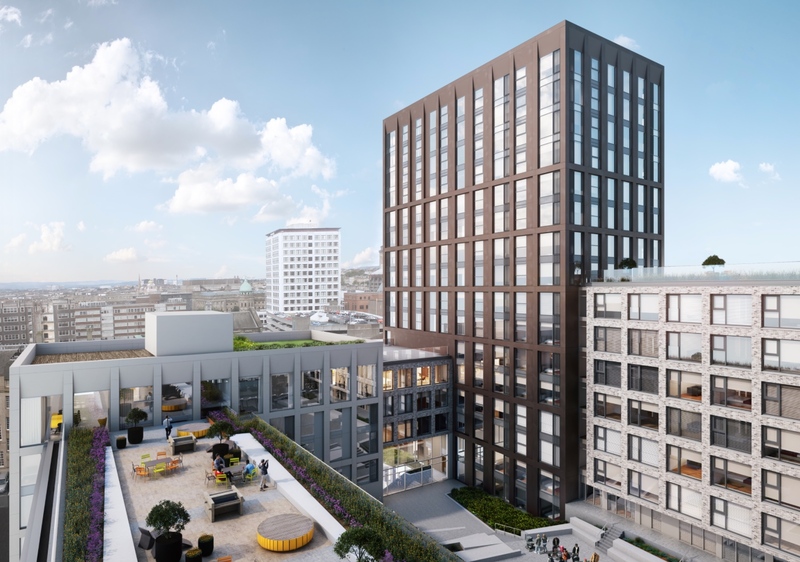 Build-to-rent specialist Moda has submitted plans to convert the former Strathclyde Police headquarters in central Glasgow into rental homes. The firm wants to redevelop the Pitt Street complex into a ‘build-to-rent neighbourhood’, with co-working space for start-ups and health and wellbeing facilities nestled in among 433 apartments designed exclusively for rent. Designed by Glaswegian architects HAUS Collective, the homes at Holland Park will be spread over four blocks arranged around a large courtyard. Moda is also in discussions with the city council on improving the surrounding public realm outside of the Pitt Street site and installing new green infrastructure. Tony Brooks, managing director at Moda, said: “By being both the developer and the landlord, we can ensure the residents of Holland Park have the best possible experience, having designed the scheme from the ground up for rent. 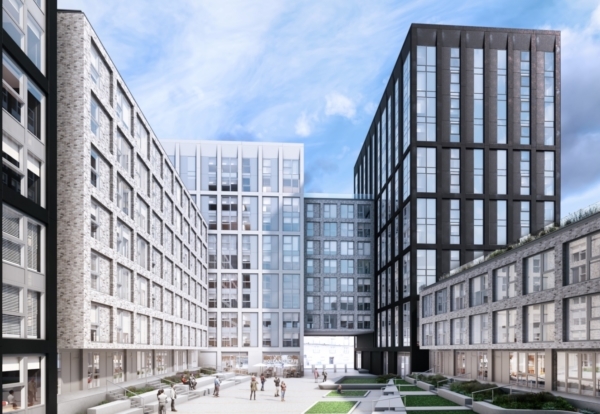 Holland Park is Moda’s first scheme in Scotland, and the acquisition of the Pitt Street site marked one of Scotland’s biggest property deals post-Brexit. Moda now has a second development in Edinburgh city centre, which was purchased from Grosvenor earlier this year. Backed by Apache Capital Partners, Moda has a £1.5bn pipeline of 6,000 rent-only apartments in high profile city centre sites across the UK. Other schemes are currently underway in Birmingham, Liverpool, Leeds and Manchester.